I think we may have reached kindness nirvana my friends! Today our street gathered together to do a little neighborhood guerrilla goodness on our block and at our local park, it was so, so sweet. 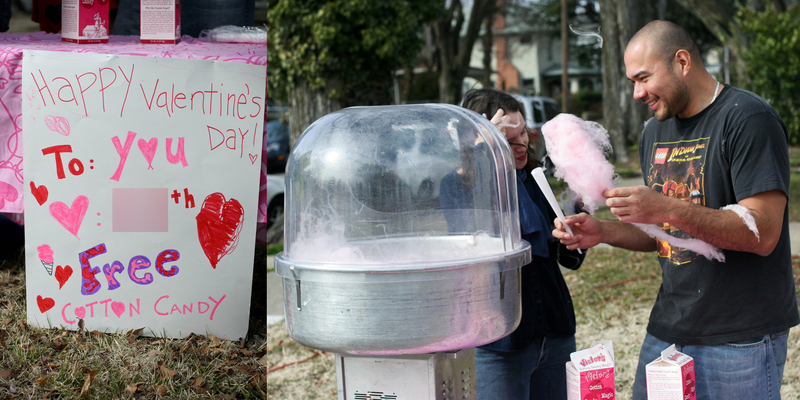 Someone lent their yard and power, somebody else got supplies to make signs, one family made the raddest side walk chalk…and then all together, we handed out the mother of all Valentine’s treats-COTTON CANDY! 110 servings to be exact. To kids, the skate park crowd, the passerbys, the basketball players, people driving by in their cars. It was ridiculous fun! Small children making signs and distributing kindness candy love may be the greatest thing ever. 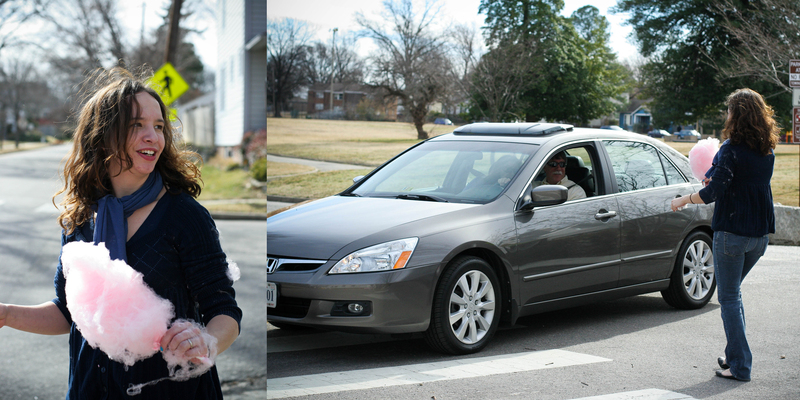 The drive-thru cotton candy was fantastic! I’m not sure who enjoyed it more, the kids or adults, but we decided we MUST do it again! Happy Valentine’s Day! May kindness find you in all the ways you need to know love!! 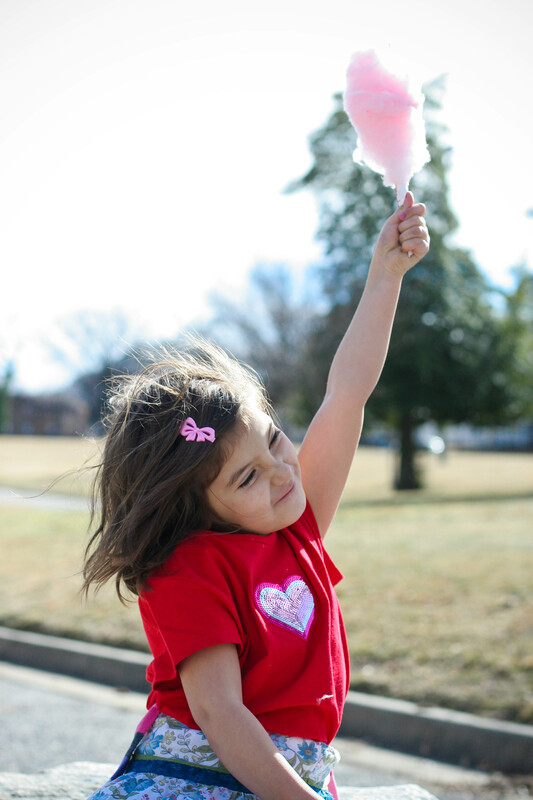 desire this fun, love, kindness– trying to open up to it and make it happen. What a deliciously wonderful, fanciful idea! Not surprising coming from you! Somehow I don’t think it would have the same feel standing next to our Maine snowbanks…. on the other hand, maybe the crazy juxtiposition would make it even more wild and crazy delightful! 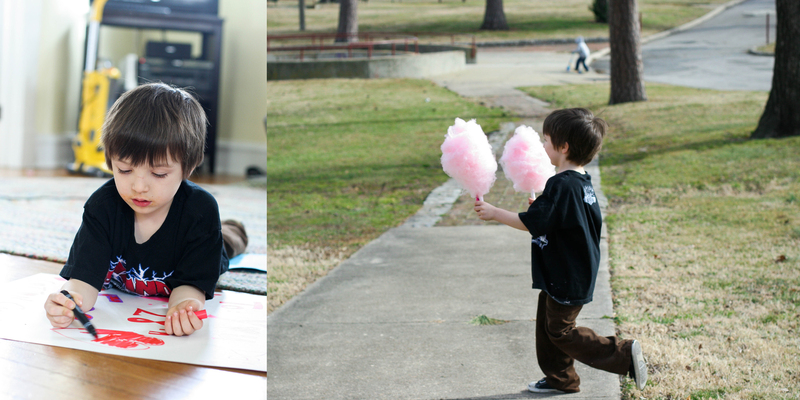 I want to hand out cotton candy right NOW! Did you rent the machine? Oh this is such a yummy idea!! sheepishly. Who even knows if it will happen.